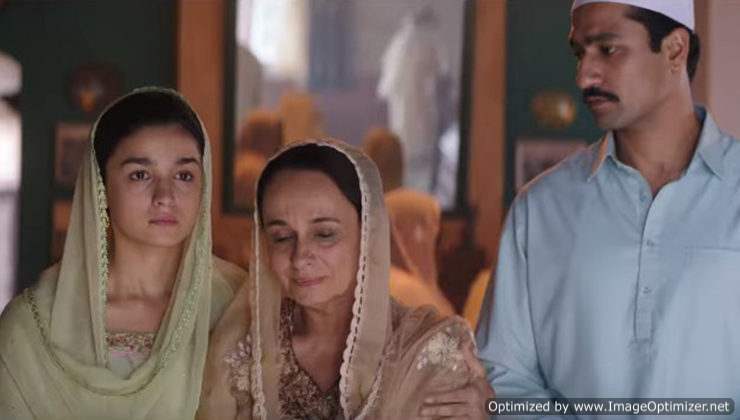 The trailer of the movie ‘Raazi’ is finally out and it is creating a rage all over. 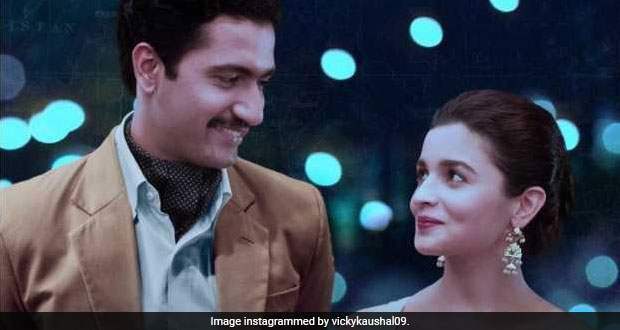 The movie stars Alia Bhatt and Vicky Kaushal in lead roles. The movie revolves around an Indian girl, played by Alia, who gets married to a Pakistani officer, played by Vicky. Alia will be seen in an avatar like never before as she portrays the role of an Indian spy. The movie’s trailer is intriguing and it is getting all the love from the audience. But in the trailer did you notice Alia Bhatt’s mother Soni Razdan? Now, this is something more exciting for all! Alia will be sharing screen space with mom Soni Razdan. Let us tell you that Soni will be playing an important role in the movie. This is the very first time that Alia will be sharing the screen with her mom Soni Razdan. Many must have missed watching Alia’s mom in the trailer but here is a glimpse of it. She can be seen caught in an emotional moment with Alia and Vicky. Surely, seeing this, the audience will be more excited to see the movie. Alia can be seen beautifully representing her character in the trailer. Vicky Kaushal too has taken our expectations to another level. We are expecting the movie to do really well at the box office. Raazi is based on a true incident and has been directed by Meghna Gulzar. The movie is scheduled to release on May 11, 2018.